Day 01: Arrival pick up procedure and transfer to Hotel as per agreement rest and overnight, Delhi is capital of India. 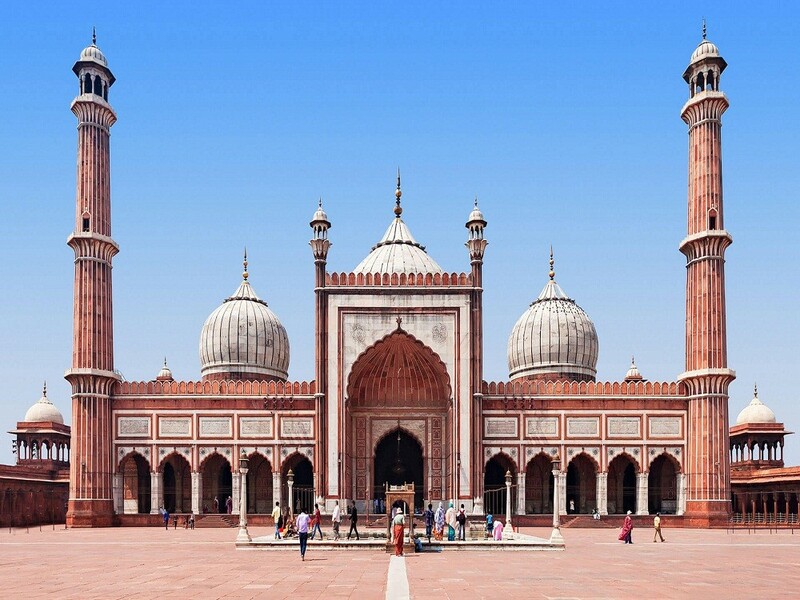 After Breakfast start sight seen to -The Red Fort, Friday Mosque -- Jama Masjid, The silver street of Chandni Chowk, Raj Ghat, The Hindu temple -- Birla Mandir, The India Gate, The Rashtrapati Bhawan -- President's House, The tomb of Emperor Humayun, Qutab Minar and The Bahai Temple. O/N. Drive or flight Varanasi. Transfer to hotel rest and start sightseeing tour of Varanasi visiting bathing ghats, The Kashiviswanath Temple, The Durgakund, The Sankatmochan -- Shrine of Monkey God Hanuman. O/N. Boating trip to ganaga river drive or flight to Khajuraho. Met on your arrival in Khajuraho and transferred to the hotel of your choice. O/N. Day 05: Khajuraho - Jhansi - Agra. Refresh Breakfast start sightseeing tour of Khajuraho visiting eastern and western group of temples. Afternoon transfer to Jhansi railway station (180 kms/04 hrs), transfer to hotel. O/N. Refresh Breakfast sightseeing tour of Agra city visiting the Taj Mahal and the Red Fort. O/N. After breakfast depart for Jaipur by road (250 kms / 05 hrs) en-route visiting Fatehpur Sikri. On your arrival in Jaipur check-into the hotel of your choice. O/N. Day 08: Pink city Jaipur. After Breakfast full day sightseeing tour of Jaipur visiting Hawa Mahal - The Palace of Winds, The Jantar Mantar, The City Palace and the Amber Fort. Your tour includes a ride up the Fort on an Elephant's back. O/N. After breakfast, depart for Udaipur by road (400 kms / 6 ½ hrs). On your arrival in Udaipur check-into the hotel of your choice. O/N. Breakfast at the hotel, city sightseeing tour of Udaipur visiting City Palace, Jagdish Temple and Saheliyon ki bari. Evening sunset boat cruise on Lake Pichola. O/N. Refresh breakfast, transfer to Airport intime to board flight for Mumbai. pick up and transfer hotel of your choice. Mumbai is the commercial capital of India and also a bustling metropolis. O/N. Refresh and Breakfast start to sightseeing tour of Mumbai visiting the Gateway of India, The Prince of Wales museum, Hanging Gardens, Victoria Rail Station and the Marine drive. O/N. Departure procedure breakfast drive or flight to Goa. Goa is home to India's finest beach resorts and famous for its Portuguese architecture. pick up or meet concern person Goa and transfer to the hotel of your choice. O/N. Relax day at beautiful Goa beach. Drive or fly Bangalore. South India's garden city and now called the Silicon valley of India, Bangalore is a bustling metropolise boasting of a wonderful climate almost round the year. Met concern person or pick up by our personnel transfer to the Hotel. O/N. Breakfast start city sightseeing tour of Bangalore visiting The Lal bagh botanical gardens, The Bull temple and The Vidhan Sudha. .Later depart for Mysore by road (kms140/2.5 hrs) . This city of palaces, flowers and sandalwood was once the residence of the Maharajas of Mysore. On your arrival in Mysore, check-into the hotel of your choice. O/N. Refresh start city sightseeing of Mysore visiting Mysore Palace and The Chamundi hills. Drive to Ooty by road ( 170 kms/4hrs). On your arrival in Ooty, transfer to hotel. 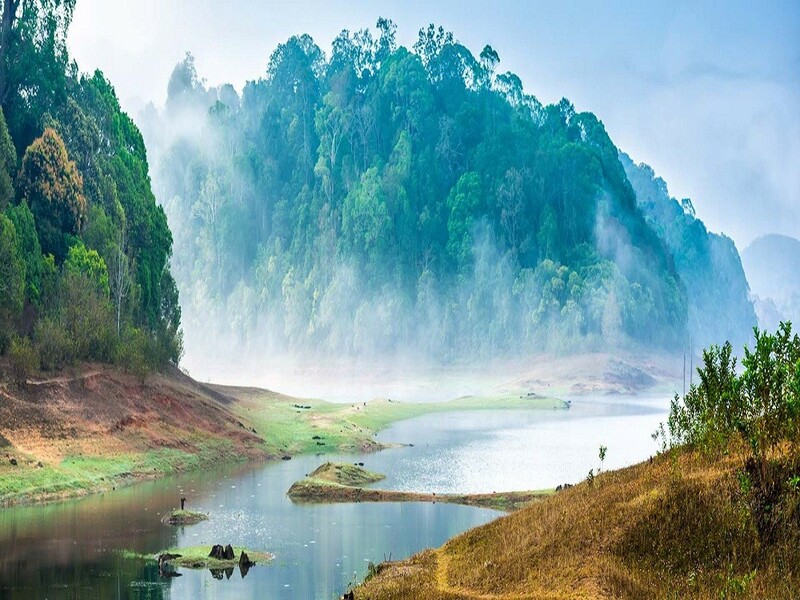 It is known as the 'Queen of Hill Stations', Ooty is snugly ensconced in the heart of the Nilgiris. Dotted with undulating hills, sparkling waterfalls, gurgling brooks and lush green tea gardens, this tranquil haven is sure to capture the hearts of every visitor. O/N. Breakfast at the hotel. A free day walking city.O/N. Drive to Cochin by road (300 kms/06 hrs). On your arrival in Cochin, transfer to hotel. Cochin or Kochi (new name) is the palm green commercial capital of Kerala. O/N. Breakfast start for sightseeing tour of Cochin visiting the Cochin harbor terminus, The Jewish synagogue and St Francis Church. O/N. After breakfast, transfer to Airport intime to board flight for Chennai. Chennai, South India’s largest city, will be the last stop of your North and South India tour. Met on your arrival in Chennai and transferred to the hotel of your choice. Overnight in Chennai. Breakfast and drive to sightseeing tour of Mahabalipuram and Kanchipuram, well known for their rock hewn temples, sculptures and the worlds largest stone bas relief. The fantastic Shore Temples are among the most talked about and most photographed monuments in the country.O/N. Day 23: Good bye drop to airport or Railway station. Breakfast at the hotel followed by a sightseeing tour of Chennai visiting -- The National Art Gallery & Museum, Fort St George, a drive along the Marina beach, St. Mary's church and Mylapore temple. Final and last ending with farewell dinner Chennai...................Good bye.